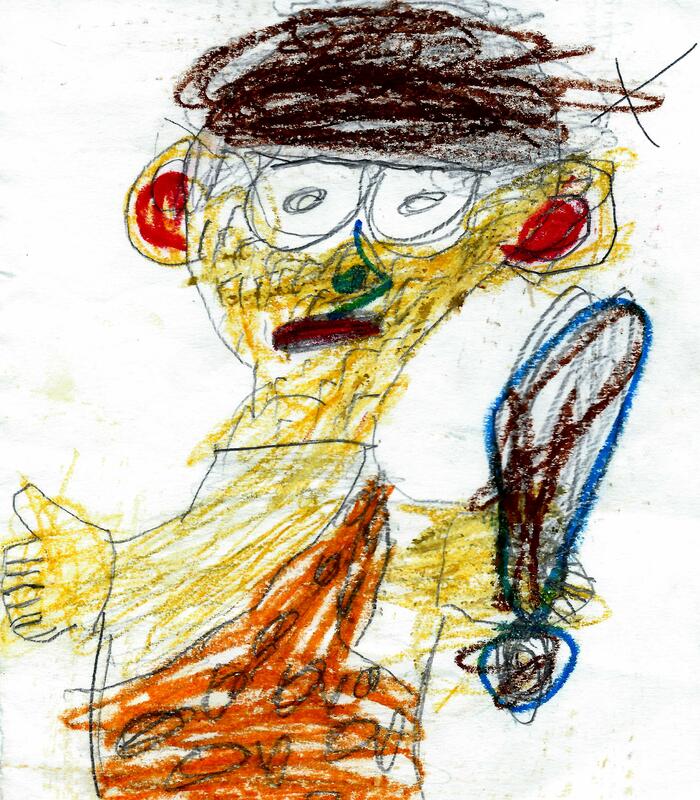 Unka Unka the caveman joined the Wump Mucket Puppets cast in May 2014. His story begins when the puppeteer’s daughter suggested adding a caveman character to the puppet show. She provided a drawing for reference, as well as his name. This seemed like a good idea to Terrence. Apparently, the name was inspired by the sound made by a spooky caveman on the classic Saturday morning TV cartoon “Scooby-Doo Where Are You!”. This cartoon has been a favorite of the Burke-Rumizen family. Unka’s head was sculpted out of plasticine modeling clay. It was then covered with paper mache and attached to the puppet body. You may notice that Unka Unka has a slight resemblance to the cartoon superstar Fred Flinstone, as well as the Ferengi from Star Trek. This may be due to the puppeteer’s love for both of those programs. Unka Unka is not only the first caveman, but he is also the very first traditional hand puppet to be performed in the show. 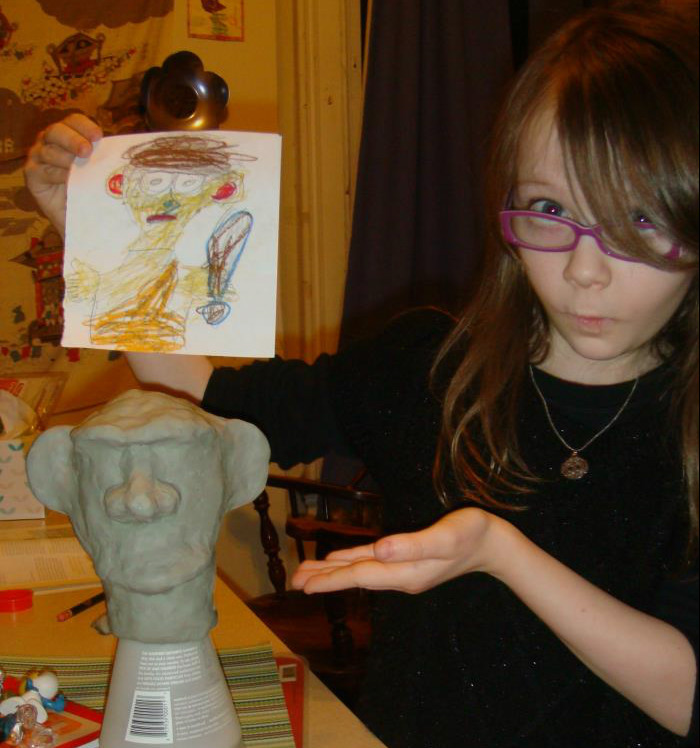 Here is a blog post from May 1, 2014, about building Unka Unka the caveman. Is how the caveman came to town. Unka’s theme tune explains how he arrived in our time, with the help of his friend and cast member Kitty Quo Quo Quo Qua the Space Cat. Watch Unka Unka, Cyril, and Kitty on his live TV debut CLICK HERE to watch on YouTube. The character of Unka Unka the caveman has grown quite a bit since his stage career began. He now has a larger vocabulary, grunts less, and sings sometimes. Over the years Unka has played a beachcomber, a space pirate, a prospector searching for gold, even a Trick or Treater. Children laugh with joy at his and Kitty’s comical antics.